The Predix ecosystem is comprised of multiple elements (e.g. services, analytics, platform), making pricing understandable across all the ecosystem was a challenge, especially since pricing models were different from one to another element. I brought to the light how complex pricing was, and if we expected people to signup, we needed to make this very easy to understand. After talking to some of our users, my thoughts were validated, we needed to do something. An model i came up with after hearing what our users were saying. 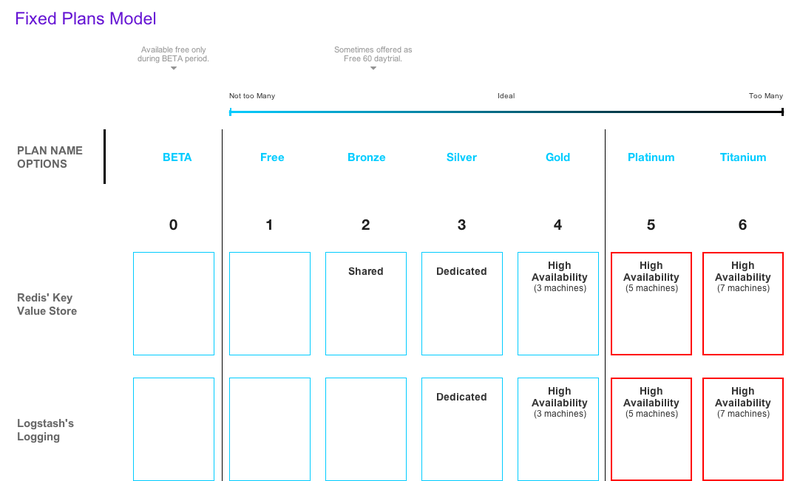 My role was to help define what pricing could look like across the platform, be it a metered or tiered service by collaborating with the stakeholders in charge of pricing, then conceptualizing and prototyping the solution to present back to the whole team. The outcome, a pricing page that explained how we charged for the usage of the platform, services, and analytics, as well as a pricing calculator that would show the user all they might need to build the application they needed.